Sunil Shantha was one of Tissa Abeysekara’s icons. In his opinion, an unsung hero. Even a brief perusal of his biography confirms this, from his forays into Indian music and his later repudiation of the raghadari tradition, acts which cost him support at the top and reduced him to a pauper. Over the years, all that has been written on, delved into, examined, done justice to, and in more ways than one, settled. But Abeysekara’s adulation of Shantha did not end there. 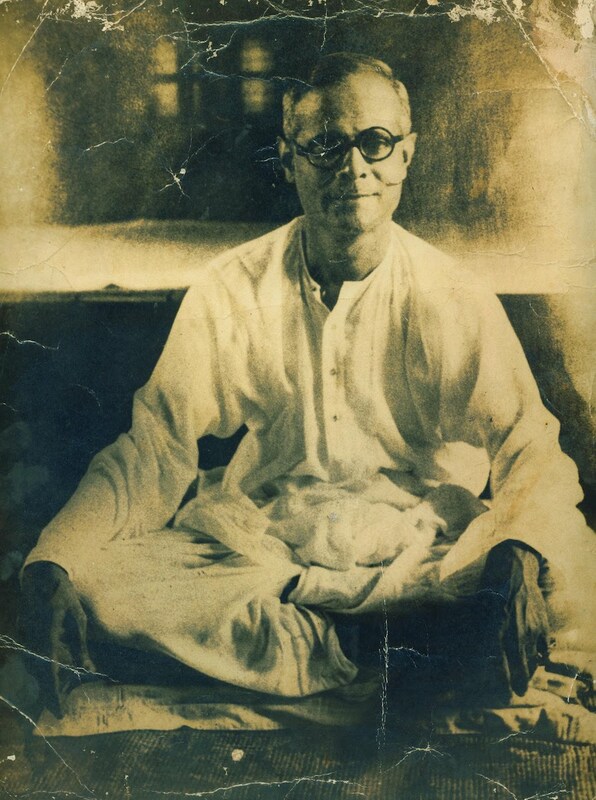 In article after article, he explored what he considered to be the most shameless act committed to Sinhala music, at least in the 20th century: the cleansing of a promising horde of vocalists and instrumentalists who sought to go beyond the ragadhari sampradaya. One name, more than any other, crops up here. Ratanjankar. S. N. Ratanjankar. The Sinhala people did not possess a musical tradition of their own. This was especially so after the 12th century, when Sinhalese poetry entered its Classical Period, which as Martin Wickramasinghe pointed out spelt out an era of decadence rather than of renaissance. The only real musical tradition we could claim, given this point, was the “jana kaviya”. Madawala Ratnayake, in his “Gee Sindu Sahithya”, contends that “uncultured” as he would have been, the rural peasant in Sinhalese society was able to musicalise these “kavi” as he went about his daily work. This was the “common man’s poetry”, more rooted than what was being written at the king’s court. Despite their divergent points of view, then, both Cumaratunga Munidasa and Martin Wickramasinghe went on to criticise the Sasadavata and the Muvadevdavata on the grounds that they were decadent and uprooted (Wickramasinghe in “Sinhala Sahitya Nageema” reserved his harshest criticism for the Muvadevdavata). Probably the biggest issue to resolve after Radio Ceylon was founded (in 1925) was how to “musicalise” the folk tradition. It was over this issue that the Ratanjankar episode raged. Initially, both sides of the divide – the administrators at Radio Ceylon and the traditionalists – believed in going back to the past to replenish modern music. But then the controversy raged, and as it raged, one of the biggest ironies that made itself evident was the fact that these two camps were led respectively by a teacher and his student. For Ratanjankar had been Principal at the Marris College of Music at Lucknow when Sunil Shantha had studied there. The guru had groomed the chela; now the chela was rebelling against him. Abeysekara is correct in his portrait of Shantha as a lone crusader against the “pothe guras” (his term, not mine) at Radio Ceylon. But as Victor Ratnayake told me, and as Rohana Baddage explained later, what he missed out was the fact that there was no “schism” as such between these two camps. 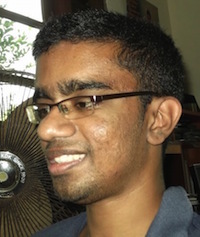 I am not inclined to agree with Baddage’s assertion that it amounted to a clash of personalities and nothing more, but I subscribe to his view that to indict those who were on the “side of the willing”, which included Lionel Edirisinghe, was patently unfair. To do that, as Victor aptly put it, would be to discount the contributions that the likes of Edirisinghe made to our music. The reality would therefore have been more complex, more multifarious, than the pothe-guras-versus-lone-crusader conflict it was reduced to. To be sure, it is true that Ratanjankar would not have possessed the requisite knowledge of the people and their customs, customs which Shantha returned to in song after song. But it is equally true that the efforts of the Hela Havula in forging a hela-fied mother tongue, though in concert with nationalist sentiments, were doomed to be the preserve of a few gifted writers, well beyond the reach of the multitude. The trajectory of the Sinhala music in the 20th century confirms this: Sunil Shantha gave way to Amaradeva, Victor Ratnayake, and Sanath Nandasiri, all of whom, without reservation, have spoken warmly of Ratanjankar and Edirisinghe. Besides, if Shantha was emphatic in his opposition to Ratanjankar, not many of the lyricists and writers at Radio Ceylon (can be seen to have) shared his views. When Ratanjankar visited Sri Lanka for the second time in 1952, for instance, he delivered a lecture in English at the Royal Asiatic Society on “The Place of Folk Songs in the Development of Music”, where he argued that the “proper local music” of Sri Lanka lay in its villages (Field, page 102). The speech was pivotal in that it spurred a lyricist to try through Radio Ceylon to transform folk poetry into contemporary song. That lyricist was Madawala Ratnayake, whose contributions to Sinhala music cannot be discounted regardless of language politics. 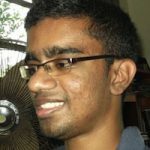 Musical nationalism in Sri Lanka of the 20th century has no real starting point, and it differs from one person’s perspective to another. I can, however, point at a year: 1957, when Ratnayake commenced a program with Amaradeva, “Jana Gayana”. That program had been commenced and stopped five years before: 1952, when Ratanjankar arrived here, and when Sunil Santha was expelled from Radio Ceylon. Where Abeysekara was correct in his assessment is his point that it quickly led to the annihilation of musicians seen as pandering to a “lesser tradition”. “Annihilate” is of course a strong word, and it is hardly used in administrative parlance, but it appears in a report dated May 1956 attributed to the then Controller of Music at Radio Ceylon, Dunstan de Silva: “I started a campaign against artistes singing westernised music and completely annihilated it” (Abeysekara’s translation). The campaign had (been) turned into an inquisition, when an inquisition had not been its aim. And yet, even here, I have my reservations: it is difficult to ascertain why this process of annihilation was allowed to run its course, or whether it was needed at that point in time given the virtual absenting of folk music from the local music scene (which was composed for the most, with the notable exception of Ananda Samarakoon, of gramophone records and the hybridised theatrical exercises of John de Silva). In any case, there was a bigger conundrum: just what was “westernised music”? From C. T. Fernando to P. L. A. Somapala, from the early baila masters to the later pioneers of popular music, “westernised” was a term invoked to disparage music that existed outside what was officially sanctioned. “His name is associated in my mind forever with the sad story of contemporary popular music in this country,” Abeysekara wrote of Lionel Edirisinghe, and while he may have telescoped the issue, I do concur that Edirisinghe’s efforts may (inadvertently) have bifurcated our music industry into two strands which were to meet only intermittently thereafter: the jana and the janapriya. To be sure, they did meet, significantly, somewhere in the eighties, when Amaradeva, the exponent of the sarala geeya, sang for Clarence Wijewardena, the exponent of popular music. The song was “Sasara Gewa Yana”, and it still symbolises, for me, a fusion of sorts. But then that’s another story. In April 1991, Abeysekara gave a speech at the Sri Lanka Foundation Institute. He talked of Shantha and how his songs found their way to the most unlikely of places: weddings, parties, Big Matches. I think the reason why those songs evolved into ditties to be performed at such events was their quaint, poignant base. They were the ruminations of a soul that which had rediscovered its roots, which was going back to the village, constantly, in search of fresh material. In Shantha we find an entire musical tradition that sought to vocalise both the melody and language. That it gave way to a tradition which brought together our folk poetry and classical Indian music is another issue. What is important is that musical traditions are never cast in stone. Sure, we can condemn those who did away with what might have been. But history is made up of art forms “which might have been” giving way to what they eventually become. 66 years after S. N. Ratanjankar arrived here, Sunil Shantha was expelled from Radio Ceylon, and Madawala Ratnayake began “Jana Gayana”, are we then any worse off, as a nation of music lovers? In many ways, yes, but that begs the question: could it have been otherwise? The arts are never predicated on firmly set traditions. They evolve on their own. Given that, it is impossible to infer what might have been. And it is even more impossible to reduce those conflicts which make up their evolution to one reason, much less one person. The main premise here is that an “Indian” is as foreign as a “German”. If Uditha will pardon me, this is absolute BS. We are as much Indians as any Gujarati or Malayalee, in the sense that our culture is rooted in the sub-continent. It was not Germans who brought our religions /food/ gods here. This artificial attempt to show our supposed uniqueness instead of acknowledging the inextricable links is a major problem . As Uditha says, WE HAVE NO MUSICAL TRADITION. Instead of following the lead of South Indian music (the closest properly developed system) , we have to imitate an “Aryan” tradition which has no roots here. Finally we end up with the present uninspiring mish-mash presided over by cultural arbiters who condemn baila (which is much older than the current received wisdom) but worship Ragadhari. Not to mention the TV “talent” shows in which mediocrities judge even more mediocre “dancers and “singers”. In which country do artists describe themselve with their academic degrees in front of their names? Visharada this or Visharada that ? It doesn’t make their output any more listenable. Ha ha ha ……….. you can say that again! This boy Uditha Devapriya is completely removed from reality. Could we have his reality checked in the USA. Give Uditha some credit for honest analysis. Unlike some writers on this forum, he doesn’t talk about 2500 year old cultures. “L’enfer, c’est les autres” or “Hell is other people” — Sartre ( inference —> Hell/Apaya is not some burning fiery place of torture of devils far away ……… but right here on this earth among the people you have to live with – devils are you and me ) ….